Large-block land protection is a primary tenet of applied conservation biology that drives a lot of land trust work. Large blocks by their very nature capture a range of landscapes and land features that drive structural and functional biodiversity down to the point scale. It is important to capture this diversity when working on targeted acquisitions or preserve management plans. 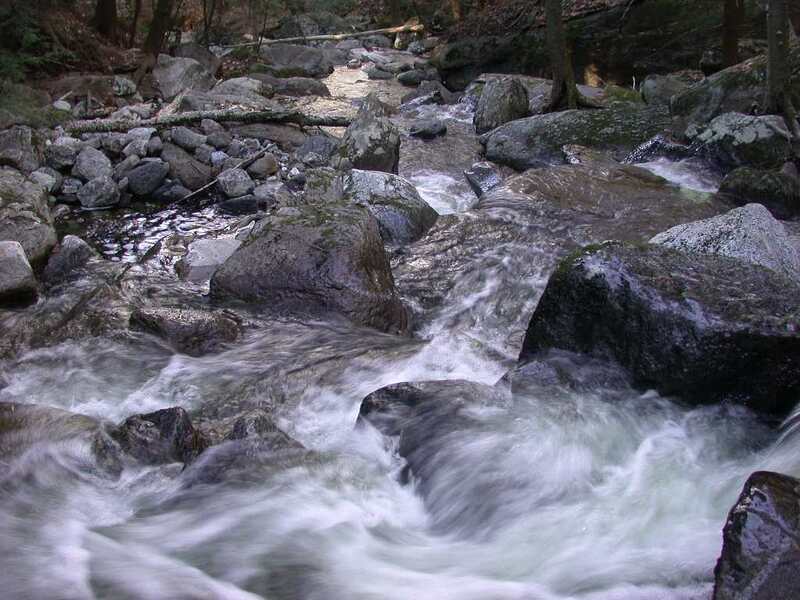 For instance, among the most important diversity elements on a preserve are its water resources that provide sustenance, refuge, and reproductive habitat for a wide range of plant, invertebrate, and vertebrate populations. The presence of water, and the type, quality, and quantity of water resources in an ecosystem have a direct effect on the character, robustness, and resilience of its natural communities and the greater ecological network. At the individual level, water controls life histories. It has been written that 75% of eastern mammals visit a water feature daily. Wetlands (fens, bogs, marshes, and swamps), perennial and ephemeral streams, vernal pools, and ponds are thus typically categorized as Critical Conservation Areas in directed or active (versus passive) acquisitions work. Other features that may qualify as CCAs are old forest stands, areas harboring species at the limit of their range, circumneutral soils, cliffs and outcrops, talus slopes, summits, ridgelines, and scenic vistas. I would also add that structurally complex forests can qualify as CCAs – at least for the next couple of hundred years until today’s preserves have started pushing into the old-growth stage of forest succession.